**Replacement: **None. We are no longer able to get these modules. This page is for reference only. 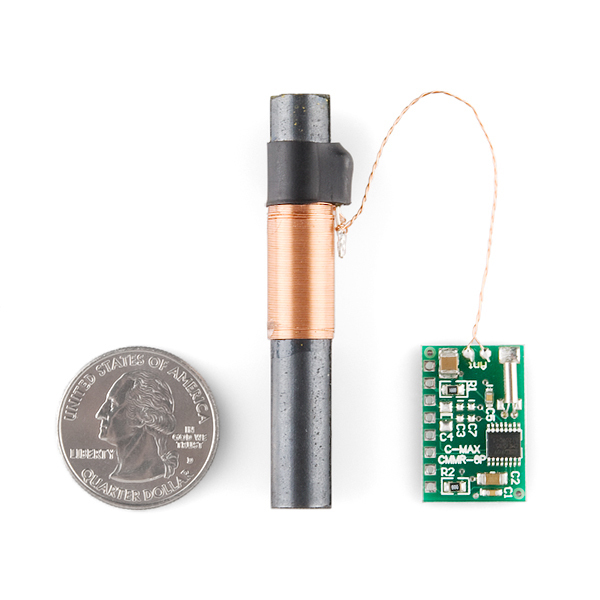 Together with the included ferrite antenna, the receiver module forms a complete receiver unit for radio controlled signals of 60kHz. You can use this module to receive time information for accurate clocks or other projects. Years ago, I hacked a WWVB decoder out of a radio shack travel alarm. I was disappointed to discover how difficult it was to find a source for these decoders. I finally gave up and used this to set a rtc: https://www.sparkfun.com/products/13740. I use a MOSFET to power it on, get accurate time in less than 10 seconds, then power it off. Does anybody know of a similar product? After a lot of googling it looks like this module has been discontinued and I can't find any mention of other WWVB receiver manufacturers. I'm not sure if you'll receive a notification from my reply to another user's post so.. Refer to my response to this thread/BCRILL. 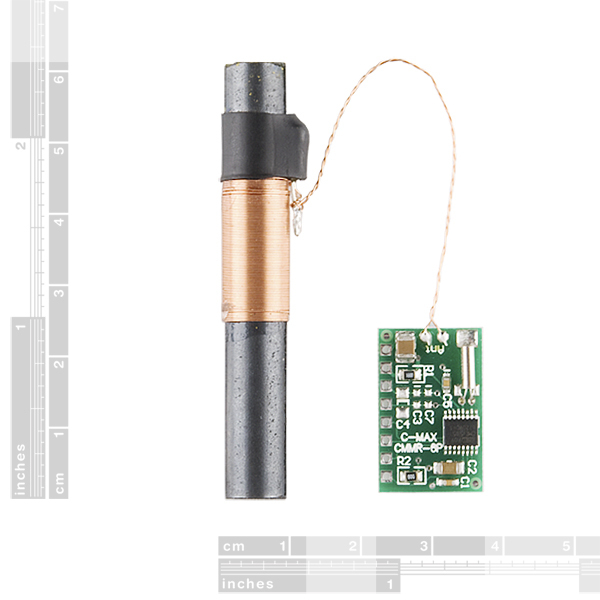 I'm interested in something like this as well, I checked Digikey and this is the only part (IC as well as the kit) they have listed under RF Receivers modulated for UTC -- it's not stocked. I'm using a microcontroller for a project that has an onboard RTC module, but no connections for a backup battery, so this kind of receiver would be ideal to set the RTC. Digikey seems to have a similar board from the same manufacturer in stock: CMMR-8 rather than CMMR-6. The CMMR-8 is more expensive and seems to be able to handle multiple antennas at once. It looks a bit fancier than I need -- anyone have any experience with this one? will this work in england? No, WWVB only covers North America. For Europe you need a DCF77 receiver. Check out http://conrad.de. For those living in Europe: WWVB is North America only, for Europe you need DCF77. 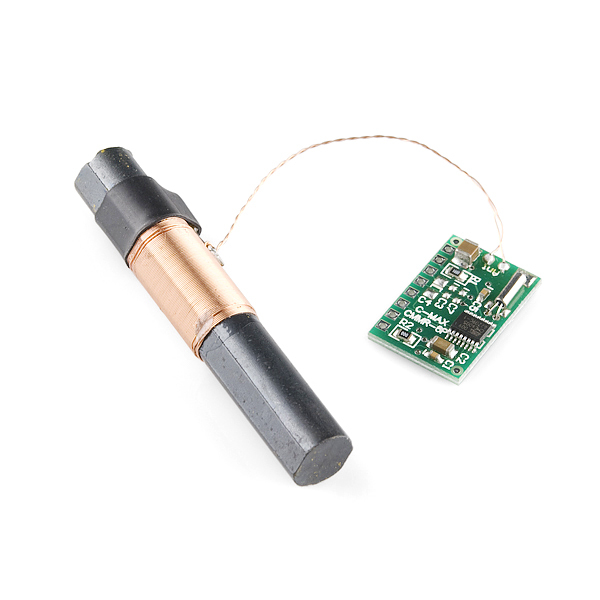 http://conrad.de has a DCF77 receiver module similar to the above for 10 euro. I couldn't find any wwvb modules anywhere at what I considered to be a reasonable price, so I instead ended up ordering a cheap GPS module for $11 from China (on that popular e-auction site) and used it just for the time function. The GPS module also has the nice feature of sending a sync message every 1/10 of a second. Also, I am in Florida, a long way from Colorado, and I expect I would have had trouble getting a good wwvb signal anyway. You need to get these back, people need these for propagation openings, setting clocks, and for making clocks for atomic clock time. I don't understand and don't know why you cannot bring these back. Unfortunately, we kept running into supply issues with these. We are still working on finding a replacement module from a more reliable source, but unfortunately, it is taking time. I've used the galleon modules for wwvb and they work well with the antenna they also sell. this company is decent to work with, so maybe give them a call. Maybe sparkfun could carry these modules - hint, hint! I found some http://www.pvelectronics.co.uk/index.php?main_page=index&cPath=9 I bought the WWVB version but they do have others for various locales. Too bad this isn't available! This kit works fine under the right conditions. Night time with the antenna pointed in the right direction. Though the antenna wire broke on mine with my quick fix I thought I would be back to normal but it hasn't worked right since. If the antenna setup was better this would be a great kit. The wire broke because I spent so much time getting this things placement perfect. When I hook this up to my ocsiloscope the output is alot faster than 1 per second. The inverted bit is also comming as fast. Do I maybe have a defective part? It's looking like in the ms range. The signal is much stronger at night (specifically, when it is dark at your location and at Fort Collins). I had done some experiments with the unit from DigiKey, I built a circuit to send the data to my PC and recorded it overnight. The data was excellent in the wee hours, but during the day I could usually get nothing. There is lots of info on the WWVB broadcasts, including graphs that show how the signal strength varies over time, at http://www.nist.gov/pml/div688/grp40/wwvb.cfm. Did you end up needing to retune the antenna circuit? Would I be able to receive a signal on the east coast of the US? Like NY? jackillac: I live in NY (south of Albany). It picks up the signal fine at night. It does seem to pick up a lot of interference though. Can anyone confirm for definite if this unit, as it, will pick up the MSF time signal in the UK? The datasheet is rather unclear--what is the signal coming off the TCO pin--the raw PWM 1 Hz pulse train described in chapter two of the 2002 Guide to NIST Time and Frequency Services? Yes, that's exactly what it is. The data rate is 1 bit/second, and it takes a full minute to get the whole frame. I played with one of these as soon as we got them in. The decoding is sort of wacky, but not particularly complicated. I've got a PIC project web page for using and experimenting with this receiver. Given that SparkFun is in the US, it is probably safe to assume this is the 60kHz one (CMMR-6P-60), but this should be specified in the description. Out of the box the receiver is set up to receive only one of the 40, 60, or 77.5kHz bands. Although the chip is capable of dealing with all of them, in this configuration you have to do a bit of tinkering to get anything but WWVB (assuming this is the -60 kit). I assume you could receive the NPL signal (MSF) with the 60kHz kit too, if you happen to be in range.